There are few words in IT right now with as much allure as "scalability" ("elasticity" and "flexibility" are close seconds). The ability to swiftly and affordably scale IT infrastructure has been a huge selling point of cloud-based resources, and in years to come, it will be an expectation. The importance of data center infrastructure management (DCIM) to scalability cannot be overstated. One of the core features of DCIM that makes scalability possible is capacity planning. Today's best-of-breed DCIM solutions help managers quickly adjust to the demand – or lack thereof – that is placed on facilities as clients' priorities change. As the driving force of the data center, electricity consumption and power management need to be factored into capacity planning efforts. Failure to ensure power infrastructure's ability to quickly respond to changing needs can result in electrical shorts and other failures that can precipitate downtime. And when downtime costs $8,000 per minute or more on average, failure is not an option. "Streamlined power feed identification is critical." Streamlined power feed identification is critical to making sure that power distribution units (PDUs) and certain supply feeds aren't being overtaxed. Something as simple as adding equipment to a PDU connected to a supply feed that's already at capacity can activate a breaker, which will have to be manually reset, and will disrupt business continuity in the meantime. As technicians install new equipment, they need an intuitive, visual way to glean at-a-glance knowledge of a PDU's power load. This very simple problem comes with an equally simple fix: Use color coded PDUs. This will make it easier to approximate power loads quickly and accurately, thereby reducing the risk of electrical failures as new equipment is added or removed. 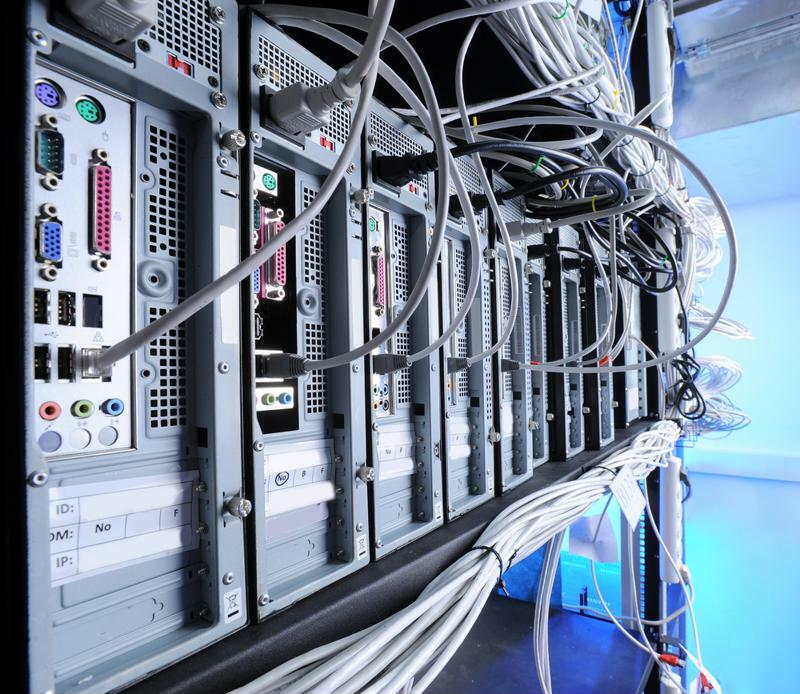 Strong power management is critical to data center uptime. In larger, power-dense data centers – especially those managed by Infrastructure-as-a-Service (IaaS) vendors – operators must monitor power consumption in real time, at all times. According to the Pratik Chube, creating an "adaptive architecture" is essential to maintaining "a robust IT power infrastructure." The operative word here is "adaptive." Without the ability to assess the current state of IT power infrastructure, it's difficult to respond quickly and efficiently, or in other words, to be adaptive. That's why remote power monitoring is so central to data center power management. For an IaaS vendor, a client's demanded power load may change significantly in the course of a single afternoon. Data center management needs to ensure that it can respond to these fluctuations in real time. Remote power monitoring makes this possible by capturing up-to-the-second data on power consumption throughout the facility, and then funneling it to a DCIM solution, where it can be analyzed and understood by operators. To learn more about how you can create scalable power infrastructure, contact Geist.